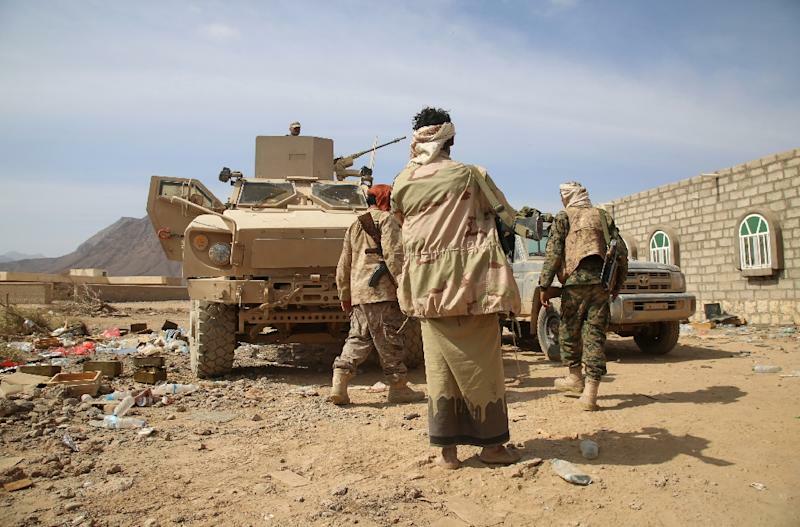 Riyadh (AFP) - Saudi Arabia intercepted a Scud missile fired towards the kingdom by Iran-backed rebels in Yemen, the Riyadh-led coalition fighting the insurgents has said. The official Saudi SPA news agency said the missile was destroyed by the kingdom's air defences at around 2145 (1845 GMT) on Saturday, around 100 kilometres (60 miles) from its border with Yemen. Yemen's Shiite Huthi rebels meanwhile said in a statement on their sabanews.net website that the missile targeted the Abha Regional Airport in southern Saudi Arabia. The missile "precisely hit its target," it said. Saturday's incident is the third time Saudi Arabia says it has shot down a Scud fired from Yemen. On Tuesday, the coalition said that a Saudi Patriot missile had downed a Scud fired from the rebel-held Yemeni capital, Sanaa. Riyadh has deployed Patriots designed to counter tactical ballistic missiles, which have been fired occasionally since March when the coalition began air strikes in support of the Yemeni government after Huthi rebels seized Sanaa and advanced towards second city Aden. In April last year the Saudi defence ministry said coalition strikes had removed threats to the kingdom's security "by destroying heavy weaponry and ballistic missiles" seized by the Yemeni rebels. Vehicle-borne Scud ballistic missiles have a much longer range and more powerful warhead than the rockets and mortar bombs which have struck the kingdom's southern border regions, killing about 90 civilians and soldiers since the coalition intervention began. The United Nations says more than 6,100 people in Yemen have been killed in the conflict since March, about half of them civilians.